Bird Park in Bali only one is inhabited by more than 1000 birds of 250 species. 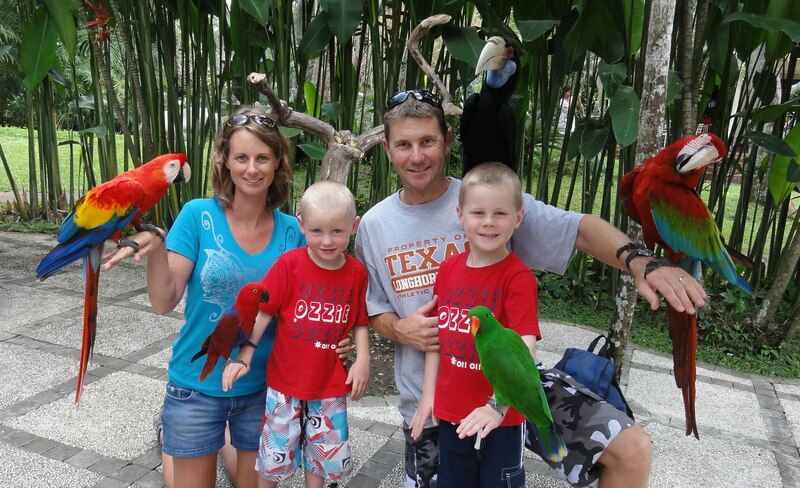 The birds are there placed in a cage and some are released in the park. Lined cages placed, arranged in such a way adapted to their habitat, to roam the occupants feel at home in it. These birds are rare and many imported from abroad, such as from Hawaii, Germany, and others. 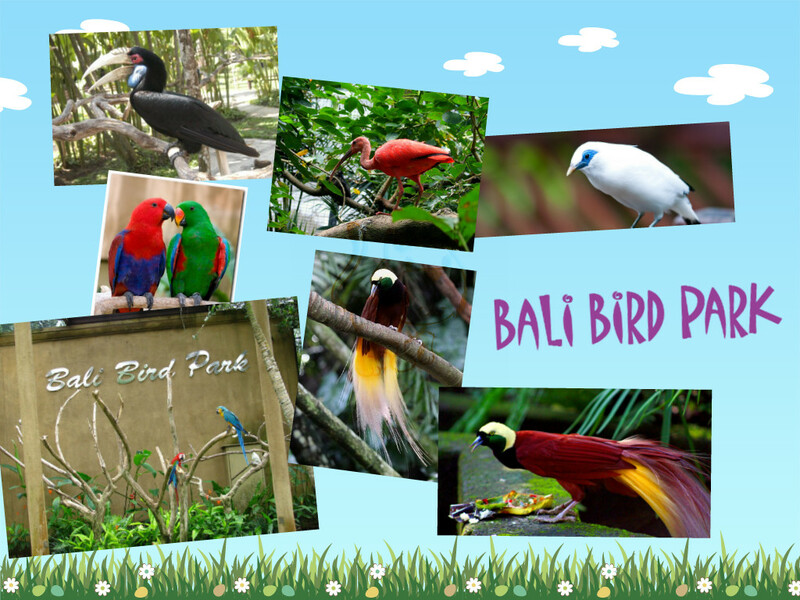 Even, the locally birds also bred here, including the mascot of Bali, Bali Starling called Jalak Bali, known by the nickname of The Minah. How to placement of the cages are set separately and grouped according to each type. That is to make it easier to know where it came from. 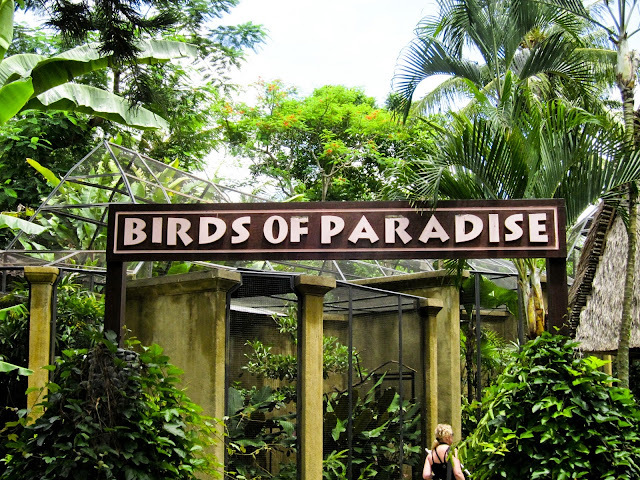 In addition there is another bird park is designed like a rain forest (rain forest) are quite dense. In Bali Bird Park the humidity was pervasive, because trees and dense rain streamed down the roof of the cage. Strong sense of rain-forest is compounded by the chirping of birds that fly various types hanging around. An area of ​​2 hectares is entirely integrated landscaping laid out with beautiful touches of tasteful art. Until his presence as we chat invites. Although Bird Park is only 2 hectares, but if we trace the path snaking, no warning we will cover a distance of approximately 1 km. Even so we will not feel tired, let alone bored. Because the landscape is able to create a harmonious environment is really cool. 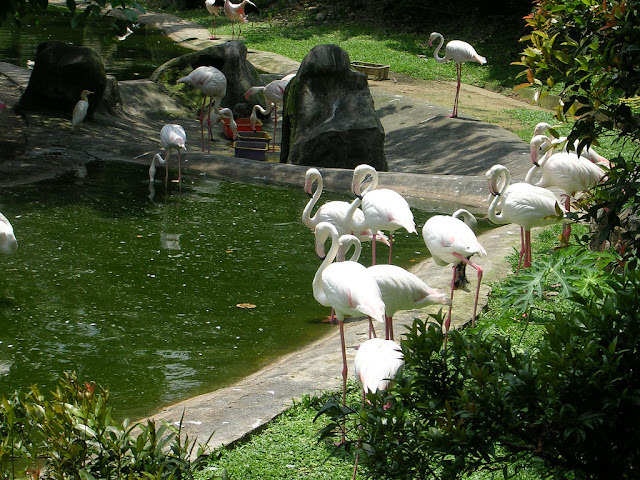 In Bali Bird park there are also a number of lakes. In addition to the collection of fish and aquatic plants, also decorated water birds, black swans, Flaminggo, pelicans, and others. In the middle of the lake there is a giant lily Victoria regia who accidentally imported from Florida USA. What do you think about this 15th things to do in Bali ? What the next topic you recommend to share on this Things to do in Bali blog ? tell us..!